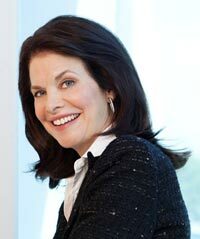 During almost 30 years in the motion picture business, Sherry Lansing was involved in the production, marketing, and distribution of more than 200 films, including Academy Award winners Forrest Gump (1994), Braveheart (1995), and Titanic (1997). Throughout her film career, Lansing earned a reputation as a trailblazer, a visionary leader, and a creative filmmaker. In 1980, she became the first woman to head a major film studio when she was appointed President of 20th Century Fox. Later, as an independent producer, Lansing was responsible for such successful films as, Fatal Attraction, The Accused, School Ties, Indecent Proposal, and Black Rain. Returning to the executive ranks in 1992, she was named Chairman and CEO of Paramount Pictures and began an unprecedented tenure that lasted more than 12 years (1992 - 2005), during which the studio enjoyed enormous creative and financial success. The Sherry Lansing Foundation (SLF), a nonprofit organization dedicated to cancer research, health, public education, and encore career opportunities, was formed in 2005. Among the SLF's initiatives is the EnCorps Teachers Program, founded by Lansing to retrain retired and mid-career professionals from the technology sector to serve as math and science teachers in California public schools. Lansing – a former math and English teacher – is also the founder of PrimeTime LAUSD, a partnership with the Los Angeles Unified School District. PrimeTime engages retirees in improving the state of public education through targeted volunteerism. In addition, Lansing serves on the Board of Regents of the University of California. She is also a co-founder of the Big Sisters of Greater Los Angeles Future Fund, which provides college scholarships to deserving "Little Sisters." In December 2004, Lansing was appointed to the Independent Citizens' Oversight Committee (ICOC) of the California Institute for Regenerative Medicine. CIRM was established by California's groundbreaking ballot measure, Proposition 71, which provides $3 billion in funding for embryonic stem cell research. Lansing serves as the cancer patient advocate, as well as Chair of the Governance Committee and Co-Chair of the Scientific and Medical Accountability Standards Working Group. Additionally, Lansing serves on the boards of the American Association for Cancer Research Foundation, the Carter Center, Encore.org, and the Entertainment Industry Foundation. She also serves on the Executive Committee of Friends of Cancer Research and lends her energy and talents to STOP CANCER, a nonprofit philanthropic group she founded in partnership with the late Dr. Armand Hammer. In addition, Lansing is a co-founder of the Stand Up To Cancer initiative, which funds collaborative, multi-institutional cancer research "Dream Teams."